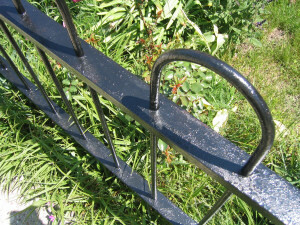 Converts harmful rust into a black protective coating that is safe to paint. Just brush or roll it on. 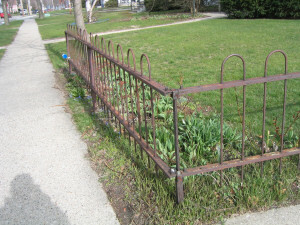 Covers 125 sq ft of rusted surface. Also available in an economical 1 gallon size. 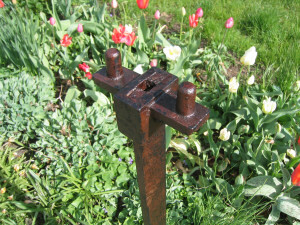 Rust Converter can be applied to just about any rusted iron or steel surface. It converts rust into a protective black layer that seals out moisture and protects against future corrosion. 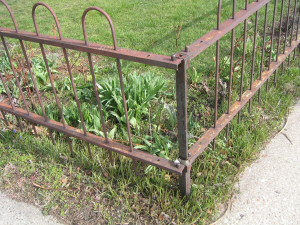 Applications for Rust Converter include: vehicles, trailers, fences, iron railings, sheet metal, outside of tanks, lawn equipment, and more. Rust converter is applied like a primer to rusted surfaces. Instead of the longer process of removing the rust on larger surfaces, rust converter is applied over existing rust after simply removing the loose rust. This labor-saving process greatly reduces the time involved on many projects. Applying the rust converter is done with either a brush or a roller. A second coat of Rust Converter will provide a greater level of protection. 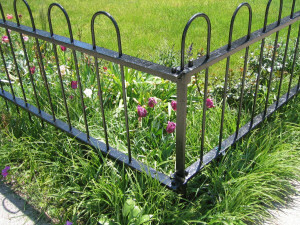 An optional top coat of oil-based paint is all that is needed to provide outdoor protection to your new surface. Rust Converter, a water-based primer, contains two active ingredients: Tannic acid and an organic polymer. The first ingredient, tannic acid, reacts with iron oxide (rust) and chemically converts it to iron tannate, a dark-colored stable material. Tannins are a group of water- and alcohol-soluble natural products extracted from fruits, trees, and grasses. The second active ingredient, 2-Butoxyethanol, is an organic polymer that provides a protective primer layer. 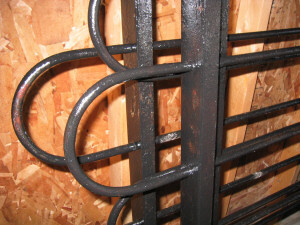 The overall chemical reaction converts rust into a stable, black protective polymeric coating. Because it’s water-based, Rust Converter is environmentally safe, non-flammable and safe to use. 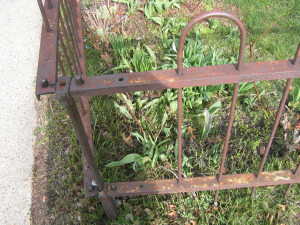 One quart covers up to 125 square feet of rusted metal. Porous and irregular surfaces will require a heavier application rate. Rust Converter has a nine month shelf life. Detailed instructions are provided on the bottle and available on our site (Rust Converter Application Instructions). Made in the USA. 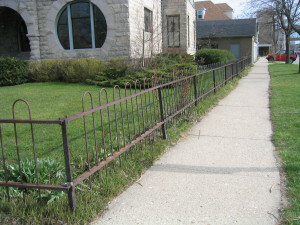 These photos show the wrought iron fence before using rust converter. 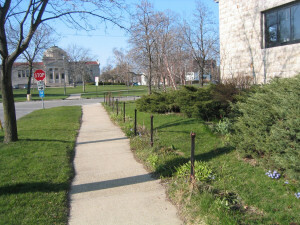 The fence sections were removed to allow for easier application of the rust converter. 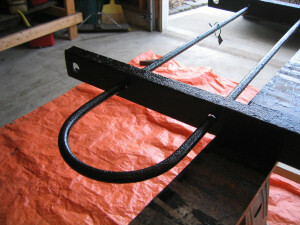 These photos show the rust converter during the application process. 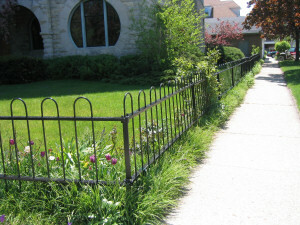 The fence looks great after applying the rust converter. I've had two cast iron urn planters for 8 years, two feet high and very elaborate with lions' heads, flowers, etc. in relief. They sit on a porch that is open to the weather on three sides. Between the rain and snow, each spring I would haul them down to the garage, clean with a brass brush and coat them with stove black. 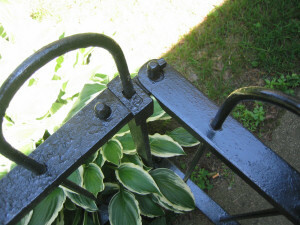 They would look great for about 3 months, then the inevitable rust spots would re-surface. I found the rust converter on your website and tried it. My husband was dubious about the product and he deals with rust a lot on our boat and trailer, but both of us are amazed and THRILLED how great the planters look -- better than new -- after two coats of the converter. I'm hoping the concrete rust remover will address the mess left over from a failed hot water heater...will let you know. In the meantime, I can totally recommend the rust converter, it is just the best.